Click on the Play Button and 'Jankenpon Hero' will start after this message... Thanks for waiting! 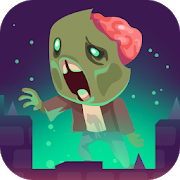 Choose your hero and take part in amazing battles to defeat hordes of evil monsters. In order to rescue the princess, you'll have to play a classic – rock-paper-scissors! Unlock new characters and skills as you make progress. Both single-player and two-player modes are available.